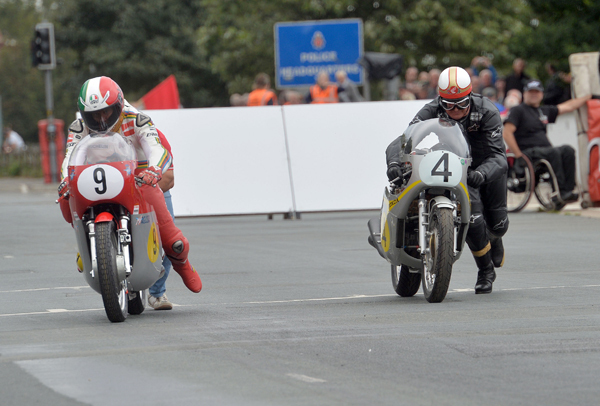 The TT Races Paddock turned the clock back to 1967 with the Isle of Man Steam Packet Company ’67 Senior TT Re-enactment at today’s Classic TT presented by Bennetts. 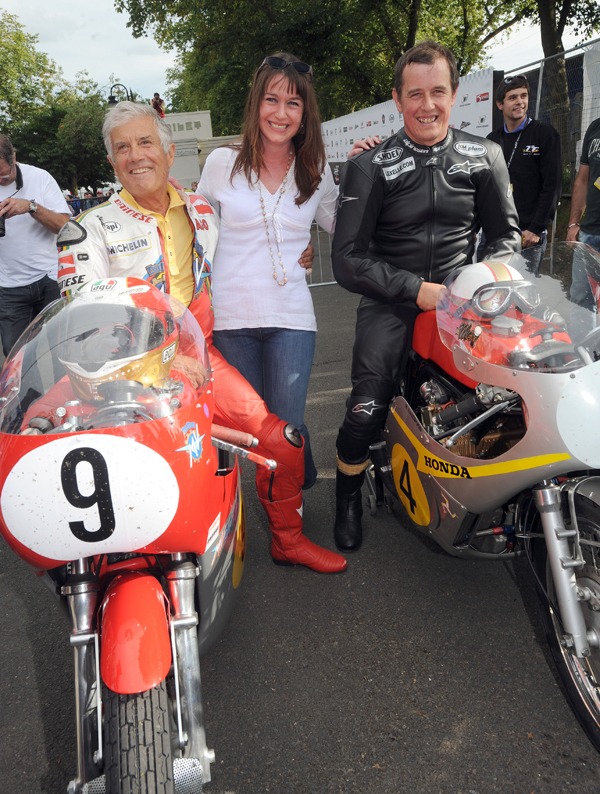 Giacomo Agostini and John McGuinness recreated the Italian legend’s battle with Mike Hailwood in the Diamond Jubilee Senior TT, which was ultimately won by the Englishman after Hailwood clawed back Agostini’s lead before Italian’s chain broke on the fifth lap, handing victory to Hailwood. 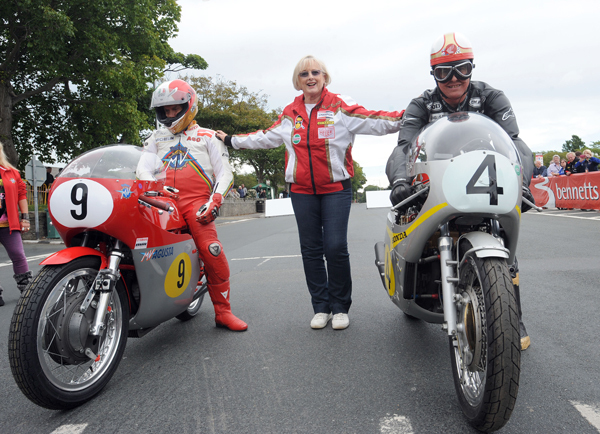 John Watt, the Isle of Man Steam Packet Company Commercial Director flagged the pair off at around 4.20pm with Mike’s wife Pauline and son David joining the illustrious duo on the start-line. At the end of the lap John McGuinness said that it was ‘a real honour’ to be chosen to represent Mike Hailwood while Giacomo Agostini joked that John had stopped to help him fix his chain on the Mountain. In keeping with the 1967 theme, Mylchreest Motors used an Austin Healey 3000 for the course inspection, the same model as the company used at the 1967 TT Races.